Today, Mina from Authentic Vegetarian Recipes is with us. She lives in UK. Her love for cooking started when she first tried Rasgullas from a cookery book. Her blog is a vegetarian blog. Now, let us hear from her. Mina : I live in a small village about 12 miles north of the famous Cambridge in UK. We moved here about 6 years ago because my job moved to Cambridge from London. We liked the idea of moving away from the hustle and bustle of London.I have been married for 35 years and have two sons. Nithu's Kitchen : How your love for cooking started? Mina : I have always worked full time and cooking used to be a chore I hated coming to after work. When I got married, I could only cook the basic simple food like curries and chappatis. MY dad was a diabetic so a lot of the food I had learnt to cook was healthy but simple. I got married to a guy who loved his spicy fried food, his nastas like jalebi and gathia, puris , theplas, undhuyu shak etc. which were all dishes I wasn’t good at making. I bought my first cookery book called Adhunik Pakshatra which was in Gujarati from an Indian shop in Wembley and remember making rasgullas for the first time. They turned out great and my love affair with cooking food started. However, I did feel very inadequate as my parents and in-laws were very good cooks. To be fair to them, they took a lot of pleasure in teaching me to cook and often my mother in law would pass on a cooking tip to me and ask me to keep it secret!! Both my father and father in law were very good chefs and used to cater at weddings in East Africa.I had always wanted to write a cookery book and now really wish I had written down some of the traditional recipes my dad and FIL used to cook. I wish that I had taken some videos or photographs when they were cooking!! I suppose I was too busy in other things and it’s too late now as both of them have passed away. Mina : I started blogging quite by accident!! I was following a blog written by a colleague who was in Japan. He used to blog everyday about all the unusual things he saw in Japan and I suddenly thought why not blog about the food I make everyday. 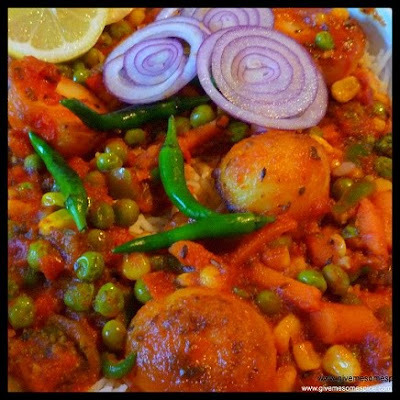 Mina : My blog focuses on traditional vegetarian Gujarati recipes. My first few recipes are not written well and do not have photographs. However, pretty soon, I had followers and looking at everyone’s blogs, I developed my style of writing recipes. I noticed that some recipes were good and I understood them because I was Indian but foreigners looking at Indian recipes would need more instruction. That’s when I started including the step by step instructions with photographs. The editing and loading photographs does take a lot of time but the compliments I receive make up for the effort. Mina : Apart from Blogging, I like to travel. The job I do involves a lot of travelling so I tend to include some holidays with work as well. We’ve been to some wonderful places and I wish I knew about blogging then as I could have written so much!! The family travels to Orlando at least once a year as we own a home there too. My kitchen in Orlando is equipped with all the ingredients for cooking great meals and I love making farsi puris, dhoklas, somasas and curries for friends and family when we are there. It’s great place to get away to when the weather is bad in UK. I am also a Committee member at my son’s school and love helping out with the events they hold. It’s a great place to make friends and share ideas and recipes too. I am a great fan of Indian music of any kind ranging from Hindi, Punjabi or Gujarati - from Garbas, bhangras, bhajans to old bollywood songs. I am a big fan of the BBC Asian radio and listen to it when I am cooking as it seems to calm me down and I don’t mind being alone in the kitchen as I feel I have company. Mina : I'm sharing the recipe for Briyani today. 1. Wash and soak the rice for 20 minutes or more if you have the time. 2. Wash Chop all the vegetables into small pieces. 6. On one cooker hob, start to cook the rice. 7.On a second cooker hob: Heat the oil in a pan and add mustard seeds and stir for about half minute. Then add onions and cook them for a couple of minutes. 15. Once ready, garnish the biryani with slices of onions and lemon and some fresh green chillies. 16. Serve the vegetable biryani hot with raita or khadhi. Nithu's Kitchen : Thank you so much Mina. Mina : Thank you Nithu. Nice post and good to know about Mina. Glad to know about Mina, yummy post..
Good to know more about Mina, she is really a lovely person and the briyani looks mouthwatering. nice to know aboout u Mina ji! Thank you for sharing Mina's recipe. Best wishes to her. Nithu, you have done a great job of letting us know about Mina.. biryani looks yummy..